We are proud to let our work, performance and reputation speak for itself, and as members of the Recommended Agency Register (RAR+) we are actively 'putting our best foot forward' to attract new opportunities. While we’re happy to let our work speak for itself, it’s always gratifying to be recognised within our industry. 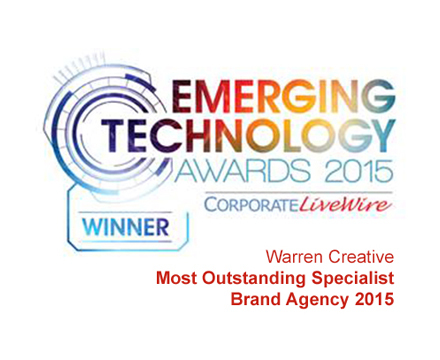 Winning 'Most Outstanding Specialist Brand Agency 2015' by Corporate LiveWire has been a fantastic boost for the team. 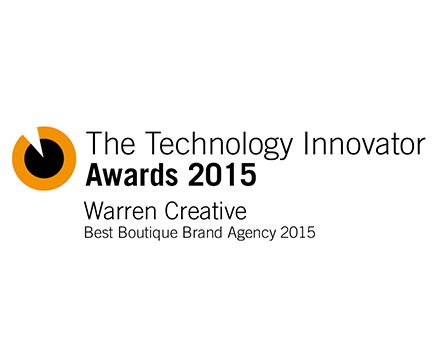 We were awarded ‘Best Boutique Brand Agency 2015’ by The Technology Awards which is great news, and encourages us to keep innovating and redefining what’s possible. That’s good for our business, and our clients. An online community for the world’s leading luxury professionals. As a forum for debate and exchange we strive to learn what's new, inspire fruitful collaborations and create outstanding opportunities for our luxury clients. As a company that values great design we’re naturally proud to be Members of one the world’s leading museums devoted to all forms of contemporary design, from architecture, fashion and graphics to product and industrial design. The Design Business Association (dba) invited us to join in recognition of our approach, commitment to excellence, and belief that design should be treated as an investment, on which we should deliver a return for our clients. We have been recognised by the Business Marketing Community as being one of the top UK web design companies of 2016. As a brand-led agency we have the ability to articulate brands and engage with customers online. As members of the Institute of Directors (IoD) we benefit from a wealth of business insight, knowledge and inspiration, and enjoy opportunities to meet fascinating, influential people from other industries and sectors. Wired Sussex is dedicated to promoting and developing digital, media and technology businesses throughout Sussex, it’s a natural fit for us, and a great way to connect with our local creative and digital community. It seemed right that as a company of dog-lovers (see Honey on our Meet the Team page) we should sponsor two of the Dogs Trust’s beneficiaries, currently Elsa (crossbreed) and Maximilian (Newfoundland cross).